To the casual onlooker just a collection of what appear to be Electronic components, valves, materials,etc. But as a discerning Guitarist with a love of Valve Amps You know what it takes to get that true sound of Classic Tone from your guitar , without reverting to "Modelling" or "Synthesis". 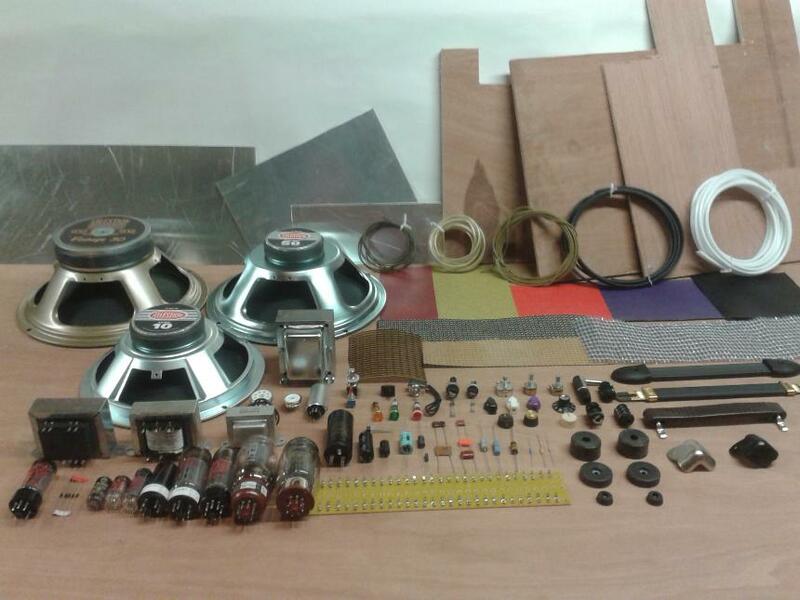 With your requirements specified and my old fashioned approach to Valve Amp design and construction, Your next Amp can be well on it's way to you. I count myself as an Artisan builder whose last concern is profit. 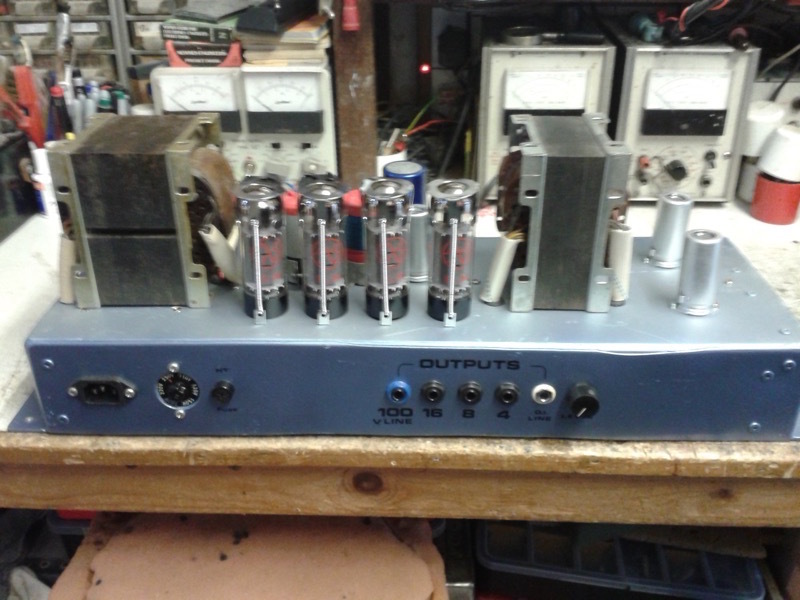 It's a love of Valve Amps that drives me to design and build for You - The discerning Guitarist. I work in a traditional way, everything done by my hands (no subcontracting), no PCB's here, only point to point wiring using Tagboards (not that I'm against Printed Circuit Boards, they have their place, but ideally not in Valve Amps with High Voltages around). 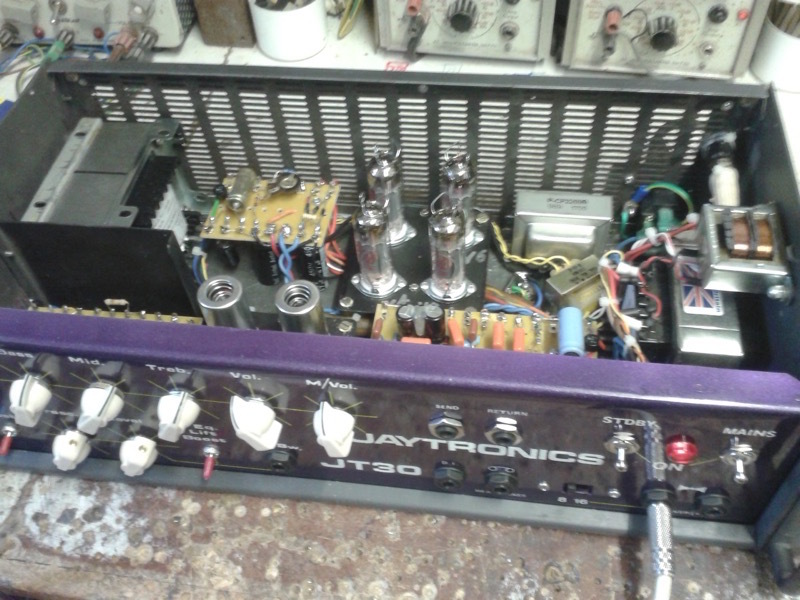 Original methods are tried and proven in some classic amps. Whilst some manufacturers have deviated to more "Assembly friendly" methods, usually with detrimental results , I choose the Classic approach and You choose the spec. of the Amp. to suit your personal requirements. 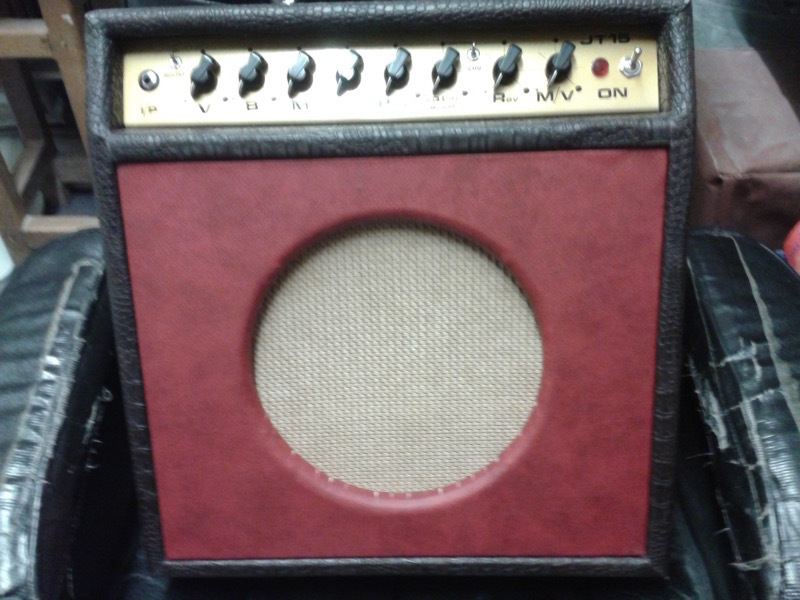 As the Nature of the business is to design and build custom amps the customer gets to specify all the parameters of the finished product starting with the type of approach ie “Combo”, “head” , “Head in 19” rack format and finally “Speaker cabinet” also the design of look, ie modern traditional vintage archaic etc . The covering materials, colours thereof, right down to the control knobs. There is so much to say, that speaking to customers one on one is generally the way to go. Emailing alone doesn't always get the points across, certainly not in my experience. JT.